Karen Lee Anson was born, not hatched on a fence post, June 17, 1946 to Mikel V. Anson and Virginia L. Anson and passed away March 26, 2019. Karen has a surviving daughter, Carrie D. Compton who is married to Joe Compton of Watonga, OK and grandchildren Wyatt 0.Compton, Brooklyn Steed, and Wyatt Steed also of Watonga. She has an adopted third daughter, Sheila Leisher and grandson Lane Leisher both of Fairview, OK. And daughter Lana Bland of Sand Springs, OK with granddaughters Amanda Bland and great grandson Kingston, and granddaughter Brittany Bland. Karen in preceded in death by her beloved son James Mullen, parents Mikel and Virginia Anson, and sister-in-law Carolyn Anson. Karen is also survived by her brother Tom Anson of Waukomis, OK, sister Barbara Robertson of Amarillo, TX, sister Jerry Ann Anson of Broken Bow, OK, sister Terry Martin of Canton, OK, and sister Donna Munyon of Enid, OK as well as several nieces, nephews, great nieces, and great nephews. Karen believed, "God won't always catch me when I fall, but He always helped me get up." 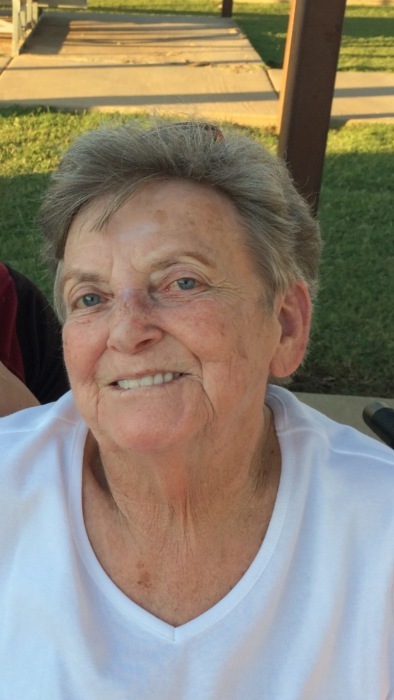 Karen enjoyed spending time with family and friends, working, gardening, watching grandkids play ball, and reading. Her 2 bits of advice is, DON'T SMOKE! In lieu of flowers she wished that a donation to the American Lung Association could be made. A memorial will be held at a later date. Services entrusted to Turner Funeral Home, Geary, Oklahoma. Condolences may be sent to the family at turnerfuneralhomes@gmail.com, turnerfh.net, or you can find us on facebook.com (Turner Funeral Homes).